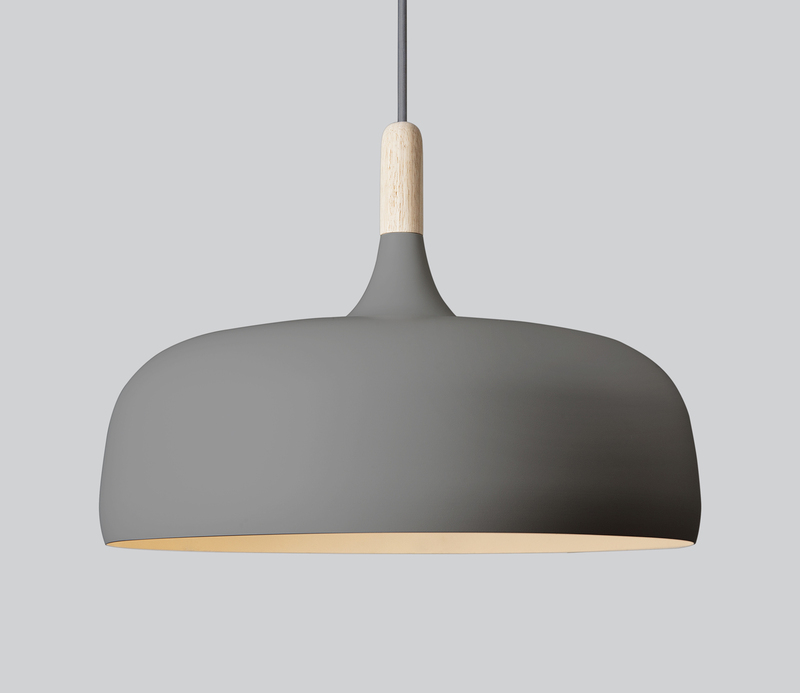 The Norwegian Mood makers have launched two of their most popular lamps in Grey. 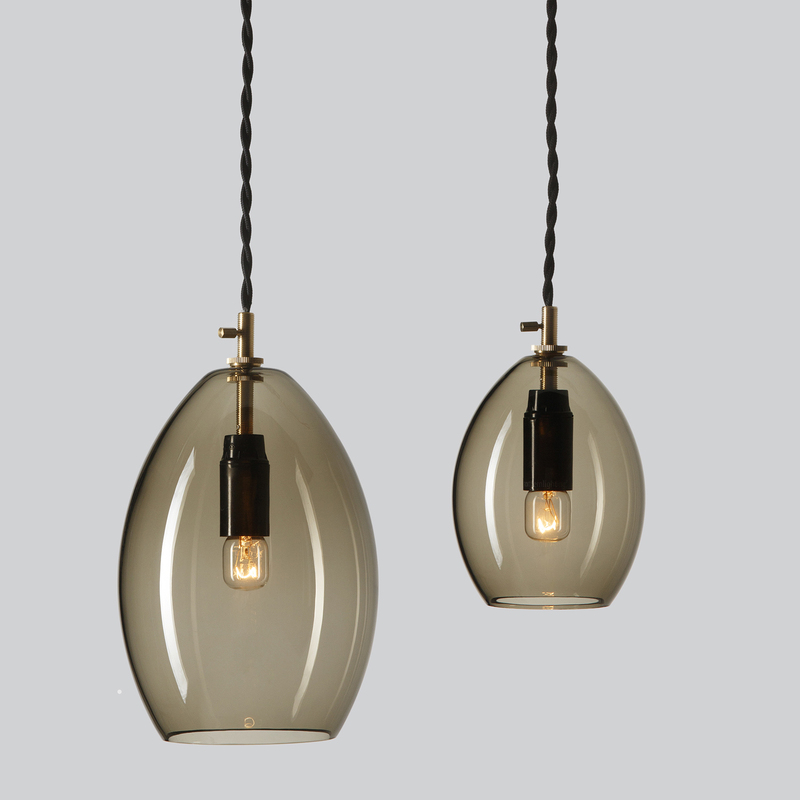 Acorn and Unika pendant lights are very different in style but both create unique atmospheres and have their own mood making qualities. Designed by Atle Tveit and made from aluminium with oil paint, the top is finished off with an oak detail. There’s no prize for guessing where the inspiration for this pendant light came from, however Northern Lighting did spot the need for a pendant with a large open bottom but a relatively shallow in depth. This characteristic makes it ideally suited for suspension above a table and its classic combination of white and wood has already made it a hit with projects and homes with a Scandi feel. We know that the grey is also going to be super popular. The Unika pendant light is a stand out product among Northern Lightings catalogue; in many ways its rather traditional, however make no mistake its super mood maker. The shade is made from crystal clear mouth blown glass, this means as part of its character it displays ripples and little bubbles so when illuminated by the incandescent light bulb they glisten and twinkle. This has made them really popular for dark moody interiors such as restaurants and wine bars. The new grey finish will be a great addition for when you want to keep things really dark and moody. Both these pendants are now available to order.